Greetings, my Groovy Ghoulies! 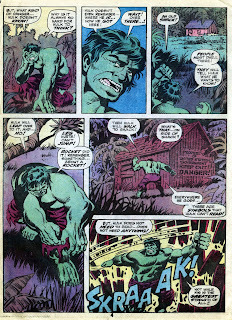 We're gonna Hulk out today with Roy Thomas and Herb Trimpe's love letter to the great Golden Age character, The Heap! 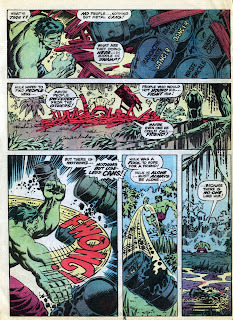 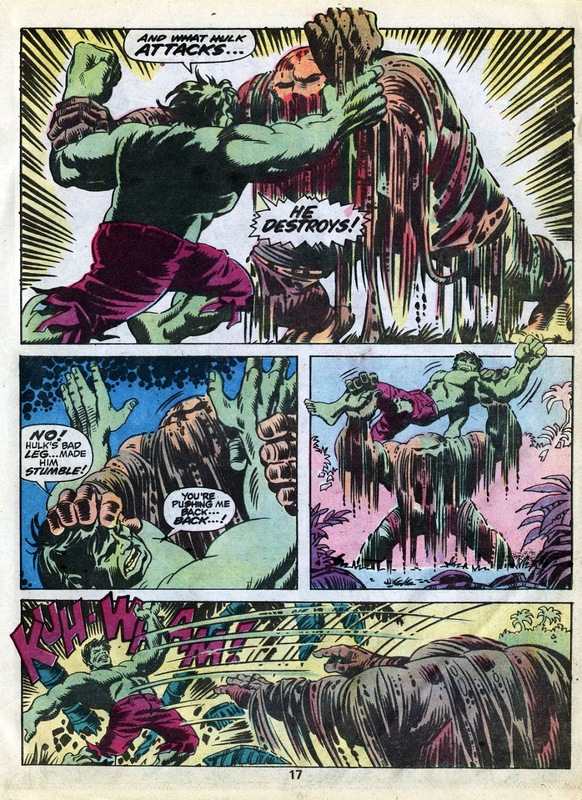 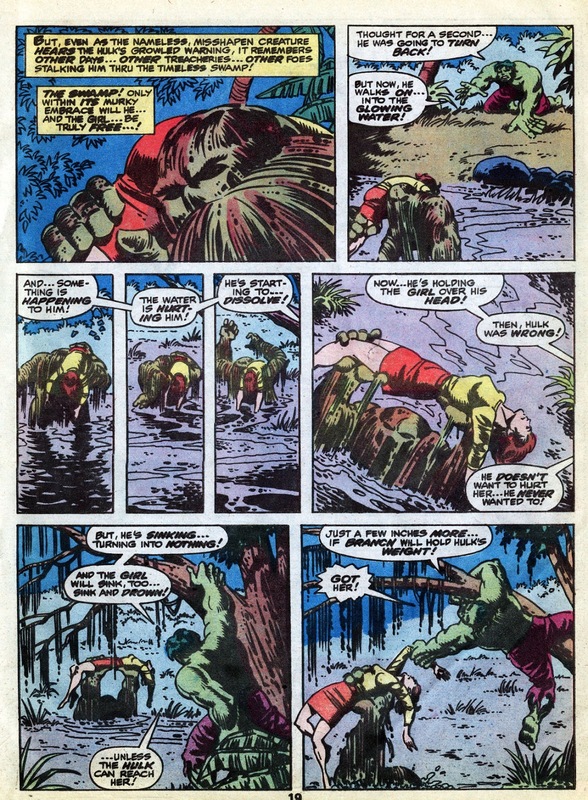 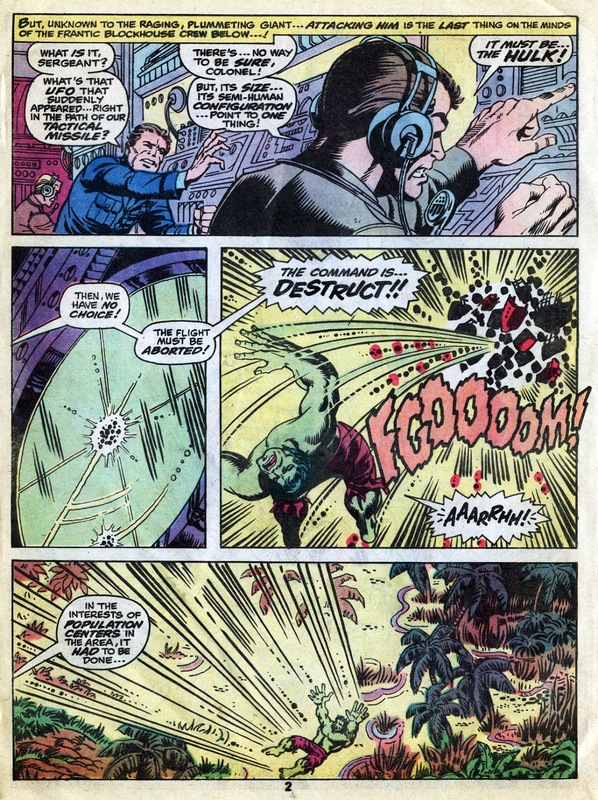 Way back in Incredible Hulk #121 (August 1969), Ol' Jade Jaws met up with The Glob, forerunner to the soon to rock the Groovy Age characters Swamp Thing and Man-Thing. 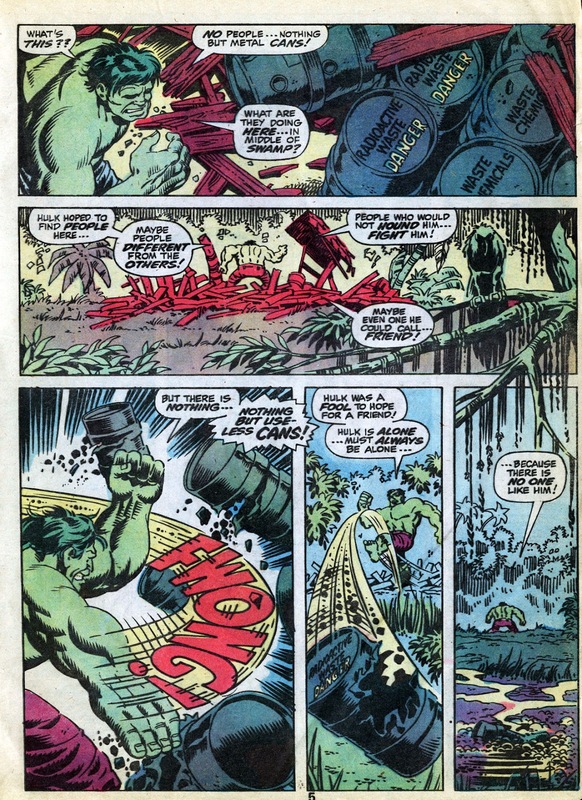 Now that Ol' Groove thinks about it, this comic is even more special to moi, 'cause it was the first Incredible Hulk comic Li'l Groove ever got! 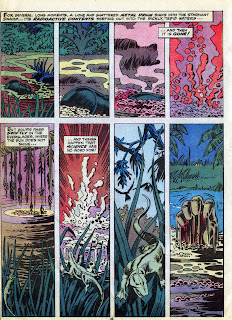 Man, I started out on a cool one! 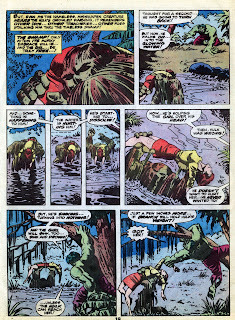 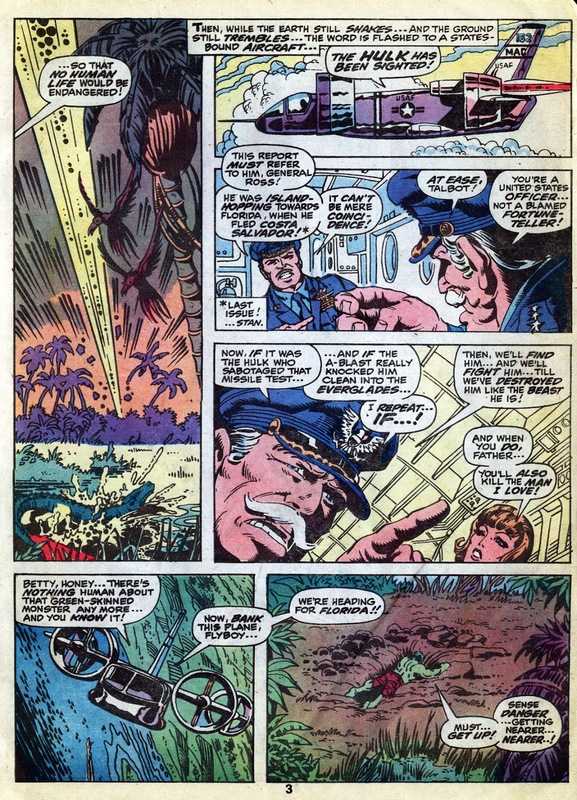 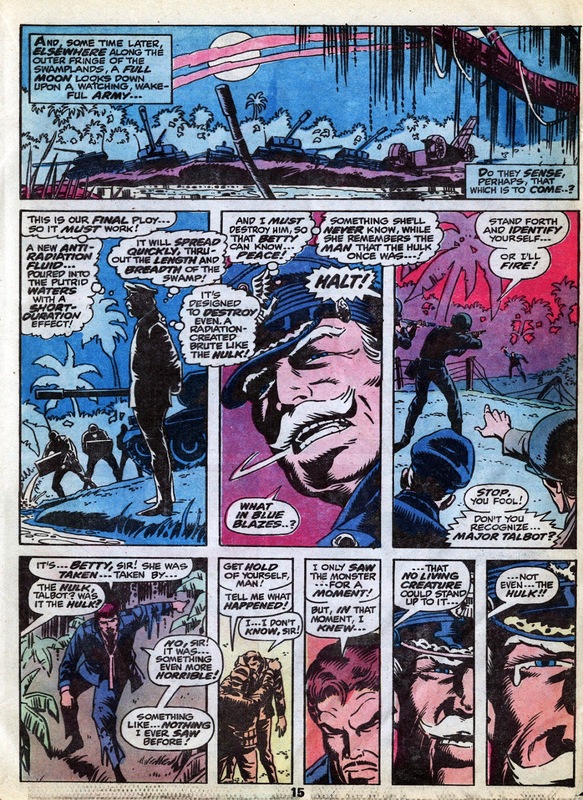 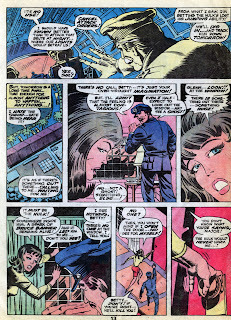 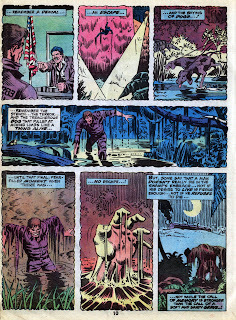 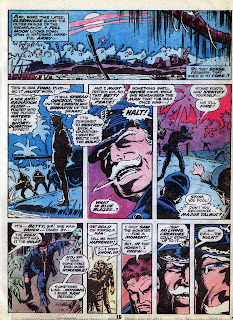 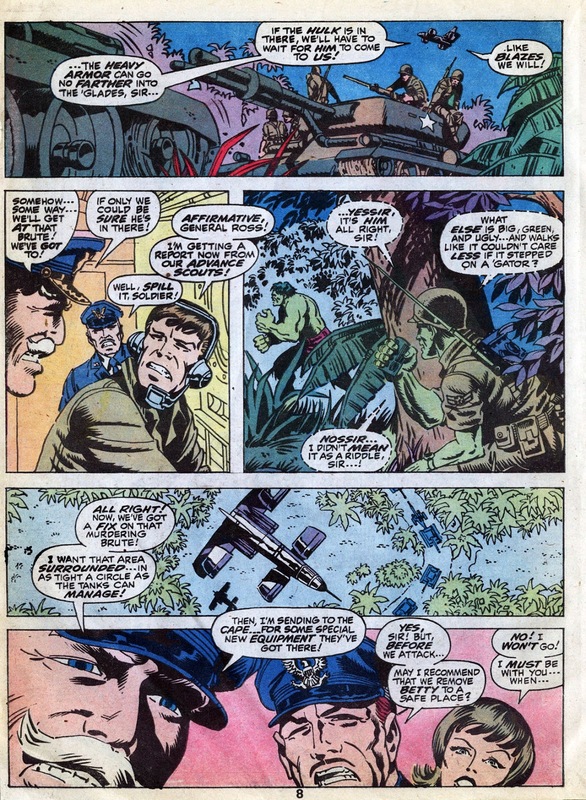 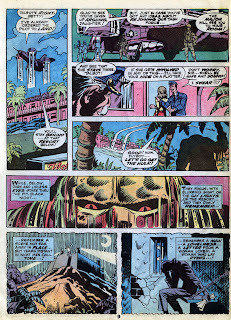 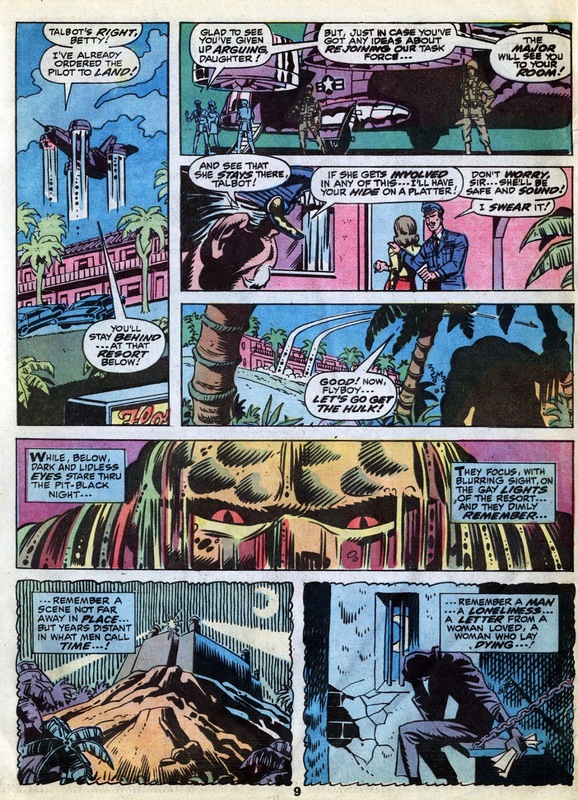 This particular version of the story, by the by, is scanned from Marvel Treasury Edition #17 (April 1978). 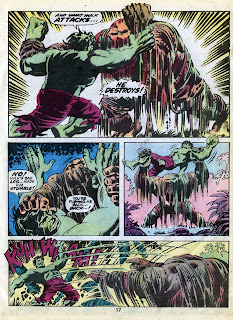 Dig it (but don't bury it)! 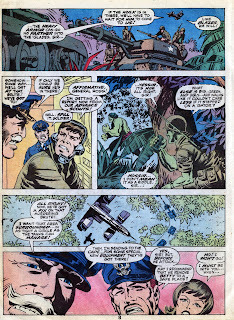 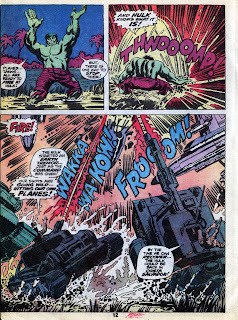 The Glob was one of Thomas/Trimpe's better creations. 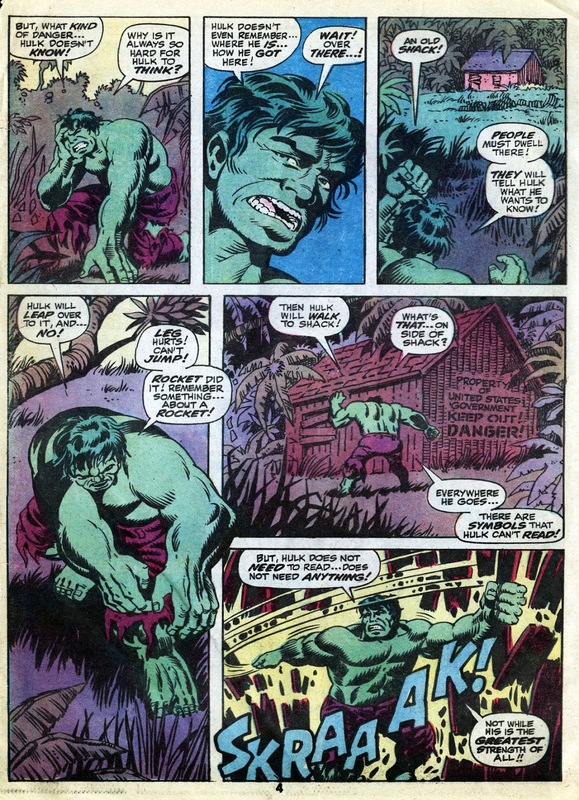 I really like Herb's art from this period where he was doing both pencils and inks and putting more detail into it than later on when he thinned out his line work. 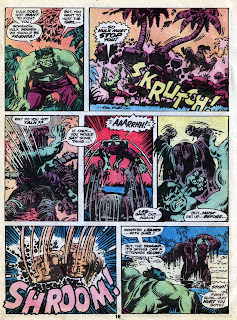 The Marvel Treasury Edition of this story was one of my first Incredible Hulk Comics. 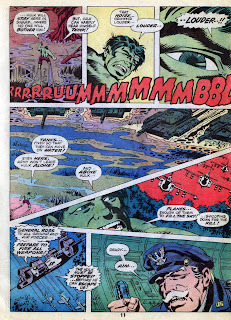 I still have my copy of it! 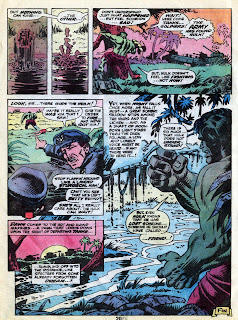 The Edition also contained a story called 'Among us Walks the Golem', one of my all time favorite Hulk yarns by Roy Thomas and Herb Trimpe. 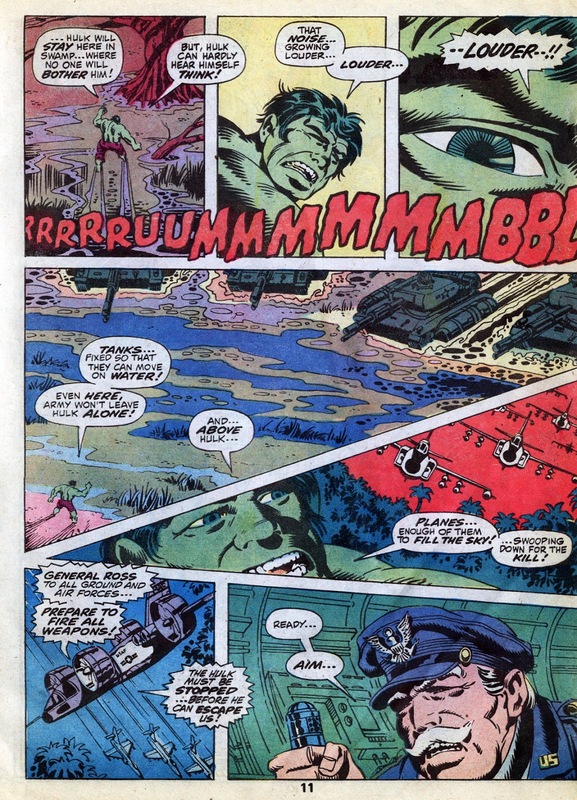 I just read key's remark... 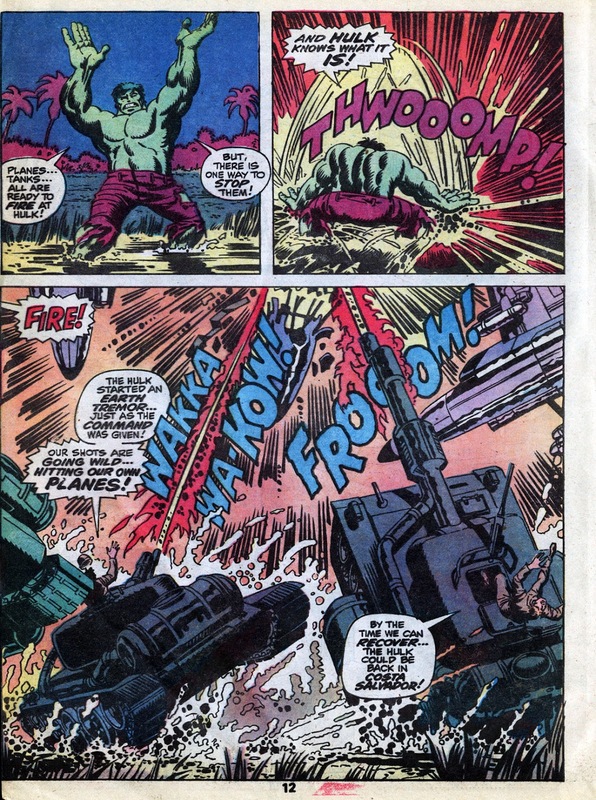 I was looking at the art and found it to exceptionally good for Trimpe and wondering if it had been somehow retouched for the Treasury Edition? But Charlie has a soft spot for Glob. 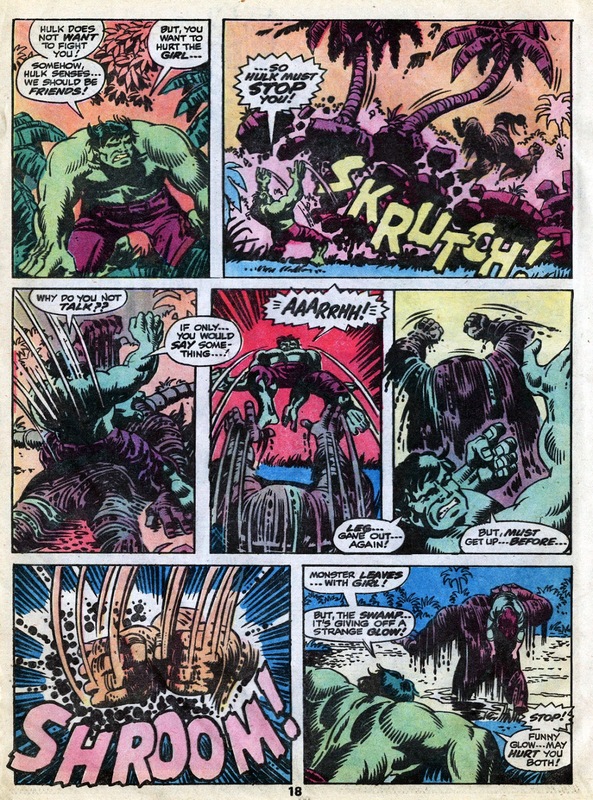 My little brother only purchased a handful of comics in his life and the first one was Hulk 129, at the age of 7, where Hulk fights Glob again. 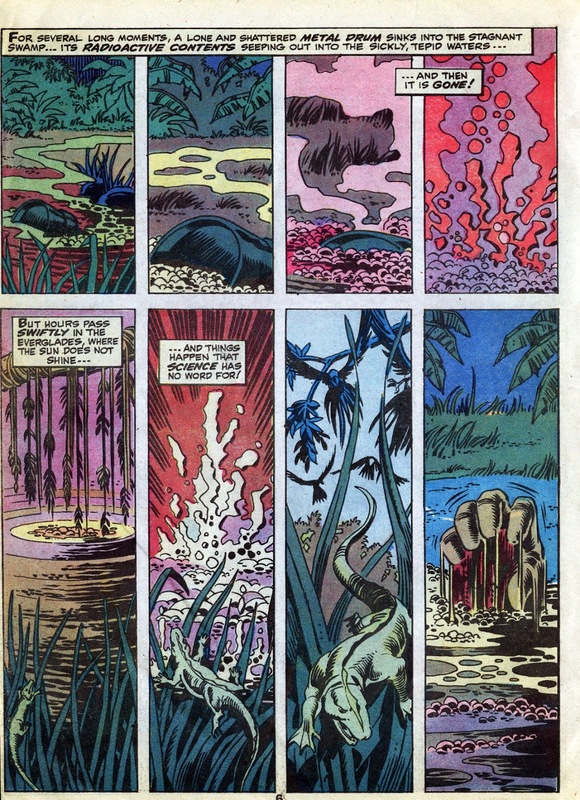 I am wondering if Glob was popular and hence the quick reappearance 8 issues later? 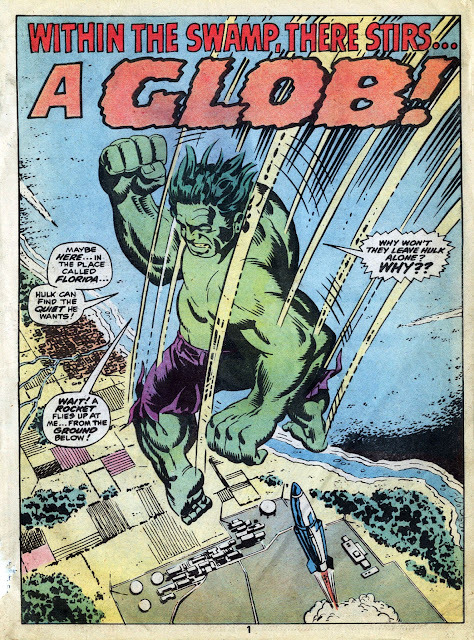 I wondered that, too. 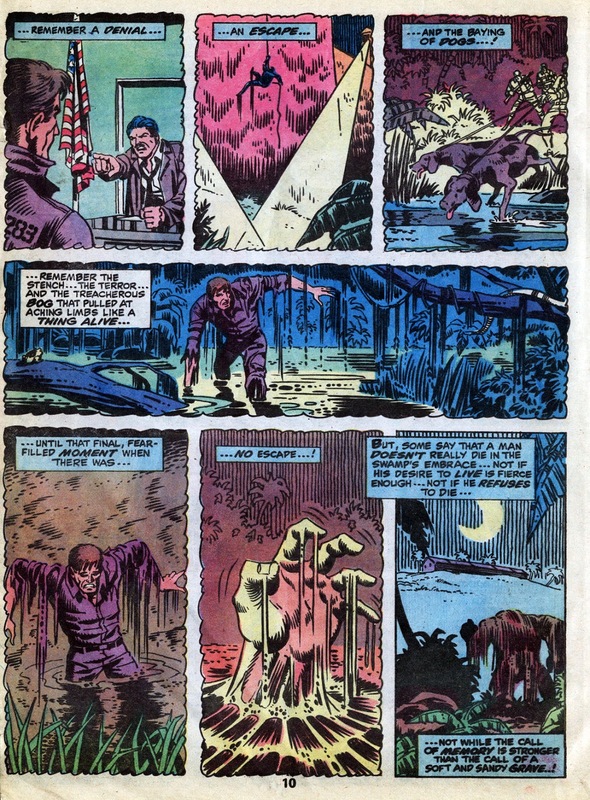 As a person buying them off the spinner rack (7/11 South Carolina) I was surprised to see the Glob back so quickly. 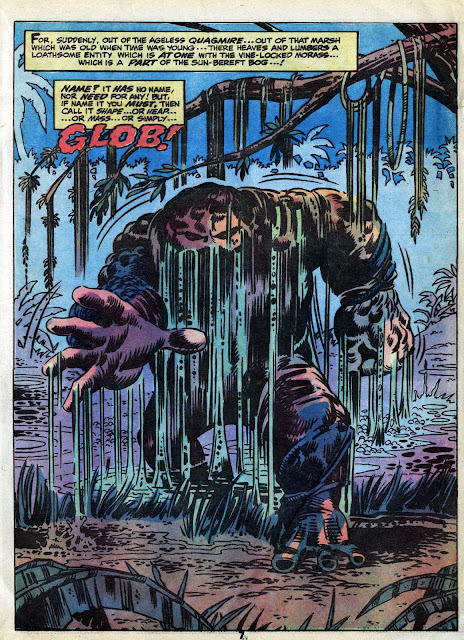 He reached his epitome in Giant-Size Man-Thing # 1 where he met the muck monster in all his gooey Mike Ploog depicted glory (that cover ranks as one of my top 100 covers of all time). 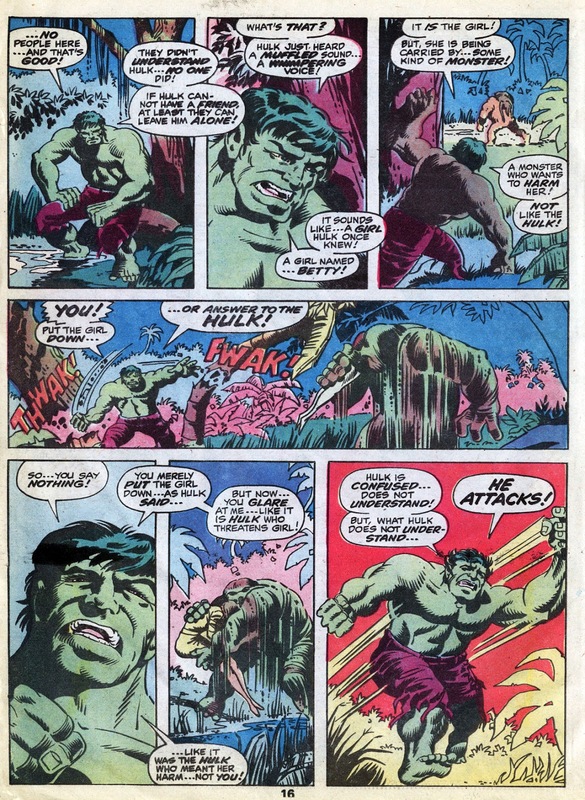 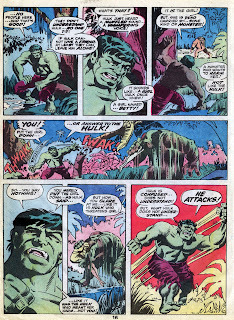 Please Marvel, can we have a Herb Trimpe Hulk Complete collection? 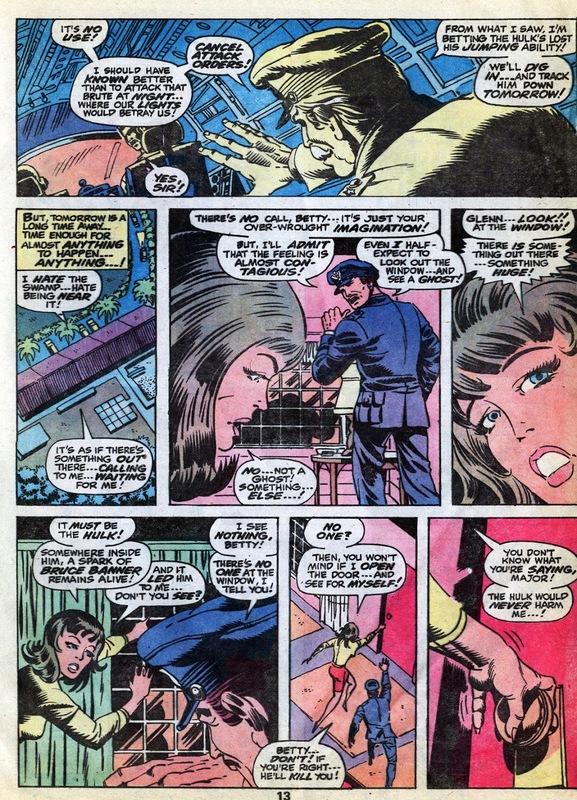 Please ! ?